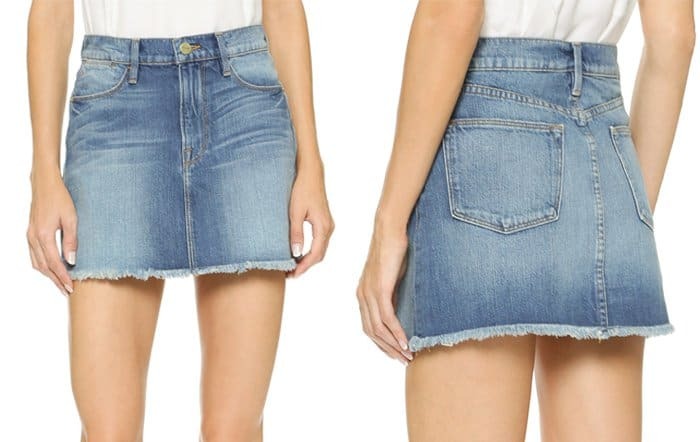 Who Wore the Casual Denim Skirt Better? Elle Fanning or Ashley James? 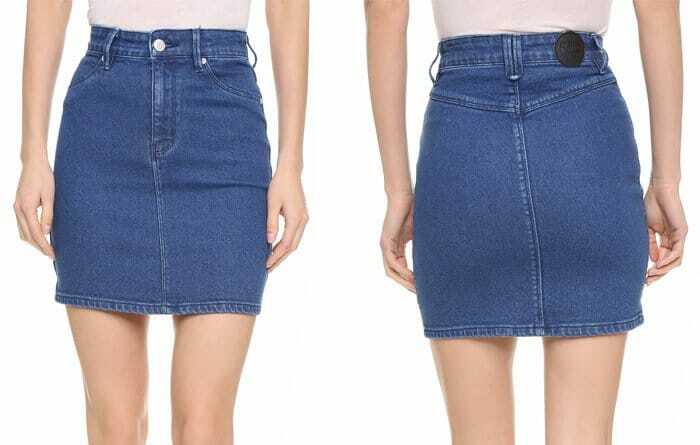 One of the trendiest items you can have in your closet this season is a cute denim pencil or A-line skirt. Practically all trend-conscious celebrities have this or have worn this at one time or another. It’s also a perennial favorite so you won’t have to worry about only wearing it once. The former Made in Chelsea reality star looked appropriately dressed for the erratic summer season in London. She had on a button front, ‘70s-inspired denim skirt teamed with a striped cropped bustier top and a leather moto jacket. She styled this with what looks like a pair of clogs and black tote bag. The 17-year-old looked nearly identically dressed. She wore a denim skirt with front pockets and partnered it with a striped cropped top. But unlike Ashley, Elle gave it a youthful and more California-appropriate panache by styling it with a pair of canvas sneakers, ‘70s style round sunglasses and a crossbody bag. We think both ladies rocked their leather skirts to perfection. But what about you? Which casual styling did you prefer more?